Entrepreneur Ithiopia Meekeda, has launched her all-pure organic line of body products, “Blush Essentials” to the public this year. She is a Durham native and N.C. Central University graduate who believes in her business. “I founded Blush Essentials Natural Body Products in March 2017. I had a soft launch last year to get an idea of what people liked in regard to natural body products,” said Meekeda. Her first debut of Blush Essentials was at NCCU’s Women’s Symposium last year. 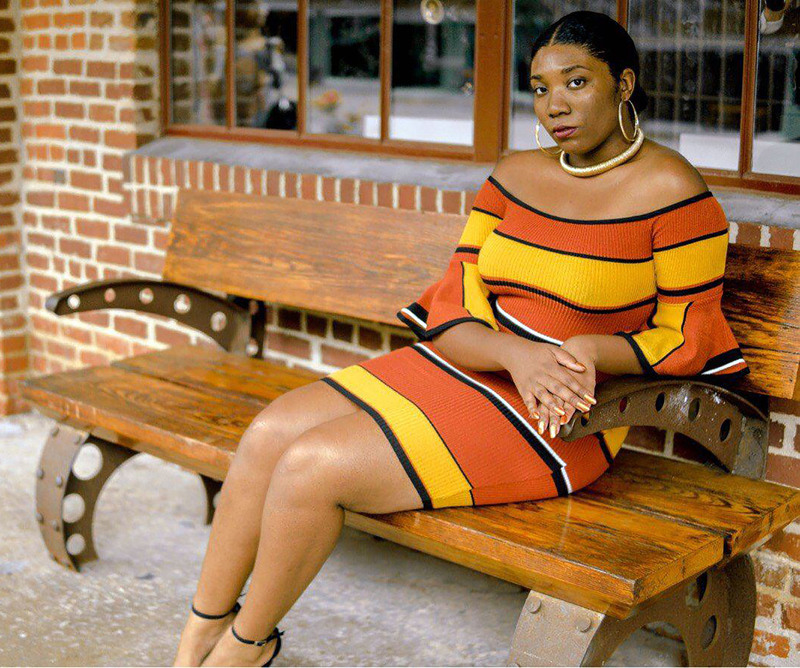 She decided to take advantage of a vending opportunity there and received positive feedback about her products which inspired her to pursue her natural body products line even further. “Ever since I was a little girl, I’ve always wanted to be an entrepreneur. Growing up seeing my father own his own business definitely inspired me to do the same thing,” she added. Blush Essentials is unique because Meekeda and her team work very hard to keep all ingredients completely natural. Meekeda also brands her products by using colors to match the scent of the products she created. To go along with colors and scents, there are fun names that coordinate with the ingredients used in each body product as well. Meekeda started making all-natural body products because of her own sensitive skin. She considered it to be one of her favorite hobbies; then one day she decided why not turn one of her favorite hobbies into a business? “One day I decided to do research on natural ingredients that are healthy for the skin and seriously pursue the body product industry,” she said. As Meekeda was coming up with brand names, she wanted to name her brand after a color. “I wanted a name that was a color because I wanted to create a color palette that stemmed from that color,” said Meekeda. According to Meekeda, the word “blush” was perfect because of it being a soft word when spoken, and it also has a soft tone that is welcoming and inviting. She also added “essentials” in the name because of the healthy essential ingredients that are made in the products she creates. “Another reason why I named is ‘Blush Essentials’ is because if customers wear my products, they could potentially get compliments that could make them blush, so it’s like a play on words as well,” she added. One major milestone of Blush Essentials was the Showcase Mixer event that was hosted by Meekeda on February 18, 2018 at King’s Daughters Inn in Durham. “The Showcase Mixer was an exclusive opportunity for people to sample, purchase, or preorder my products before they became available for the public. I sold some products and received great feedback for the quality. I even received recommendations for future products that my guests wanted me to add to my Blush Essentials line,” said Meekeda. Blush Essentials most sold products are Sweet Pea Paradise body butter, Honey I’m Home! body butter, Give Me Melons body butter, Coconut Island Sugar Scrub, and the Caribbean Mango soap bar. “My favorite products of Blush Essentials are the Sweet Pea Paradise and Let My Mango body butters. I enjoy soft scents, and these have a soft scent that smells amazing, but is not too strong or overwhelming,” she added. Meekeda will soon be adding a natural lip balm and natural hair moisturizer to her product line. Tiara Bell Sanders is a senior journalism major at NCCU. The Raleigh native is serving this spring as a staff writer-photographer with the Durham VOICE.